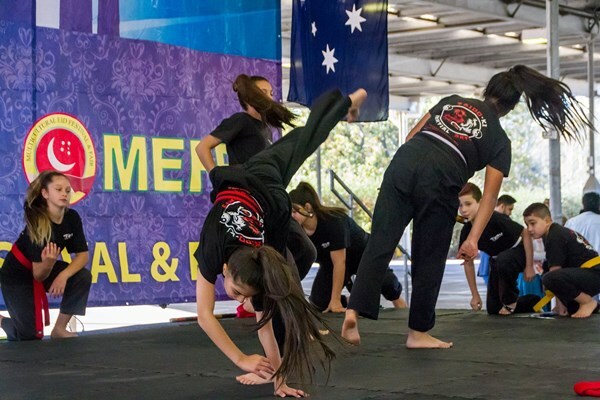 The Australian MEFF consortium is a non-profit community based organization managed by volunteers and brings cross-cultural and cross-religious dialogue and goodwill via an engaging festival. 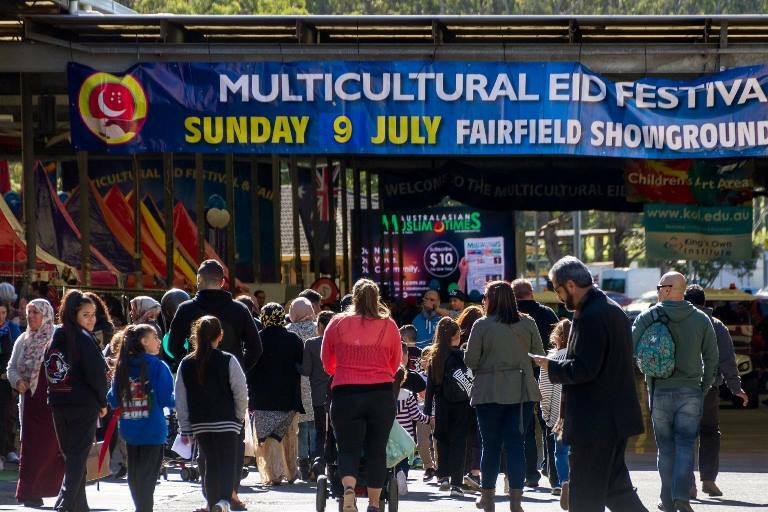 The 34th Annual Multicultural Eid Festival & Fair (MEFF) welcomed tens of thousands of people from the Australian Multicultural community at Fairfield Showground on Sunday 9 July 2017 in Prairiewood, Sydney. 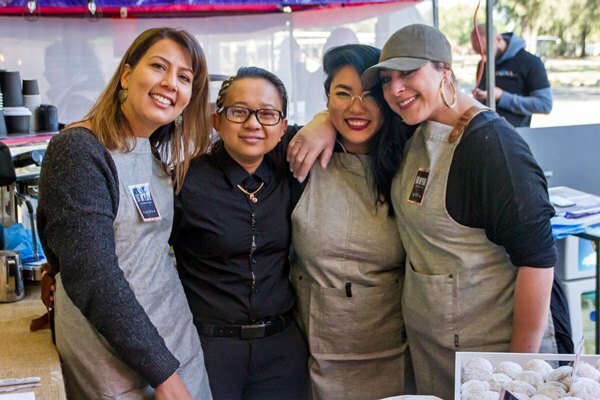 As one of the most anticipated events on the multicultural calendar, MEFF is the first, the largest and the longest-running Eid Festival in Australia, serving the community for over 30 years. 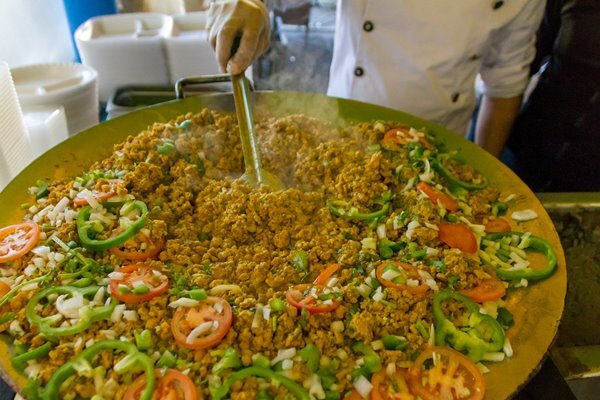 The event was a tremendous success with record crowds attending, around 130 interesting market and international food stalls, thrilling rides, entertainment and a life size baby dinosaur, Tarek the T-Rex! The life size animatronic baby dinosaur was a huge success as it walked around the showground astounding festival attendees. 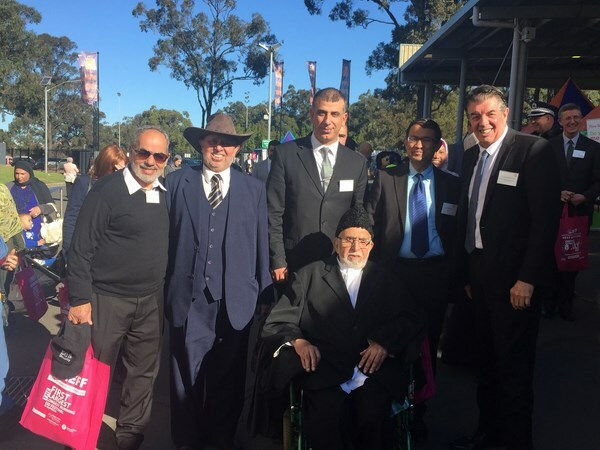 The Reception at MEFF 2017 as usual was attended by almost 150 invited guests at the Parkland Function Centre within the Fairfield Showground that included politicians, interfaith and community leaders, academics, businessmen as well as the past and present members of the MEFF Team. 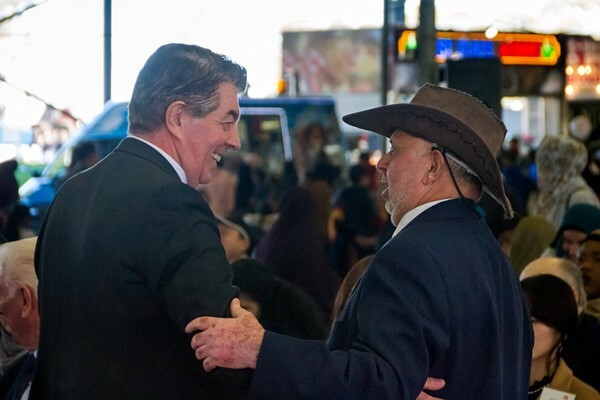 The Chief Guest at MEFF 2017 was The Hon Ray Williams, Minister for Multiculturalism and Minister for Disability Services who spoke at the reception as well as addressed thousands of people from the main stage. MEFF 2017 included the theme “Freedom of speech with freedom from vilification” in order to reflect upon two important values that we cherish as a society that has been debated during the past year. 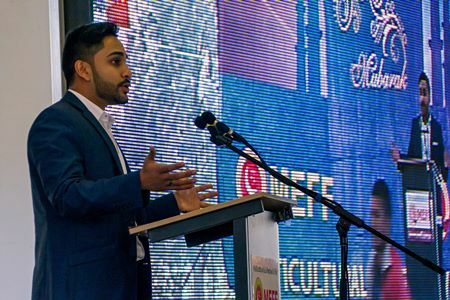 Mr Zia Ahmad, Trustee of MEFF and Managing Editor of the Australasian Muslim Times AMUST introduced the theme at the reception and requested the subsequent speakers to reflect on this topic. 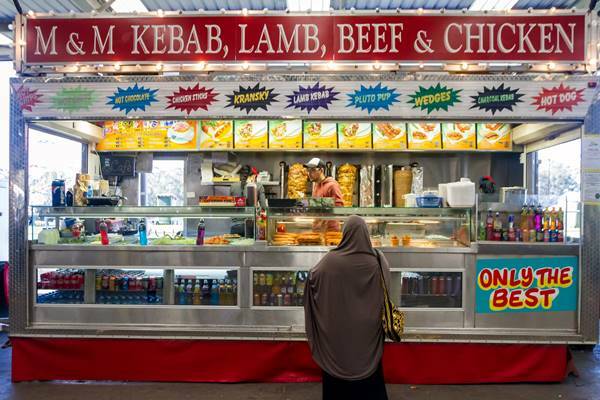 “Freedom of speech is a universal, Islamic and Australian value. International law in Article 18 of the International Covenant on Civil and Political Rights enshrines the right to freedom of thought, conscience and religion. 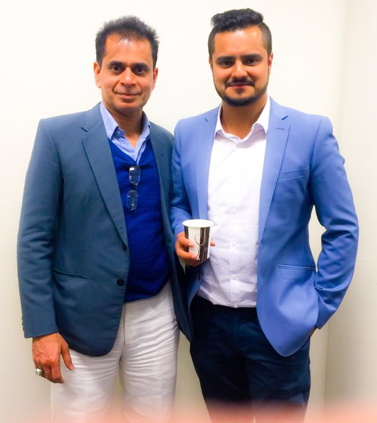 In Australia we pride ourselves for our freedom of speech in order to express, without fear or favour, what we think, feel and discuss,” Mr Ahmad pointed out. “A balance needs to be maintained between freedom of speech and freedom from being vilified, demonised and bullied. Freedom of speech needs to be exercised with responsibility without causing stress and trauma to others specially the vulnerable sections of our society, the minorities, the disable and the poor,” He concluded. A number of speakers at the reception congratulated MEFF organisers for their 34 year long track record of success as well as participated in a lively debate on the theme. Dr Mahsheed Ansari from ISRA was the MC of the reception. 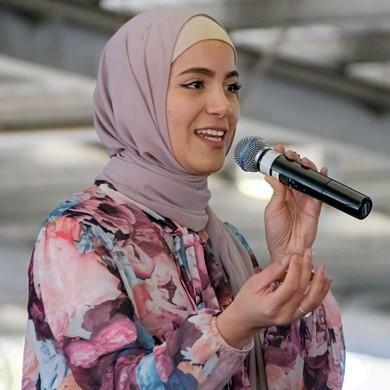 Dr Mehmet Ozalp from CSU highlighted the upcoming launch of the report on Islamophobia in Australia while Hanan Dover, a clinical psychologist criticised passionately about vilification of outspoken Muslims specially women by the bigots in Australia. Hon. 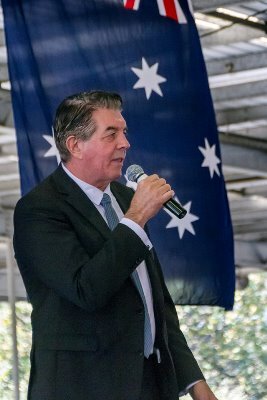 Chris Hays MP, Federal Member for Fowler moderated that Australia is the most successful multicultural society and the need to look at our positive achievements. Hon. Julia Finn MP, State Member for Granville pointed out the extreme elements in our society together with sensational media making life difficult for Muslims and other minorities. The Consul General of Pakistan Mr Abdul Majid Yousfani talked about the universal values of freedom of speech and multiculturalism that needs to be and is being adopted by all countries of the world. The guests at the reception later in the afternoon moved to the main stage in a procession led by the superb drummers team Cedarz. 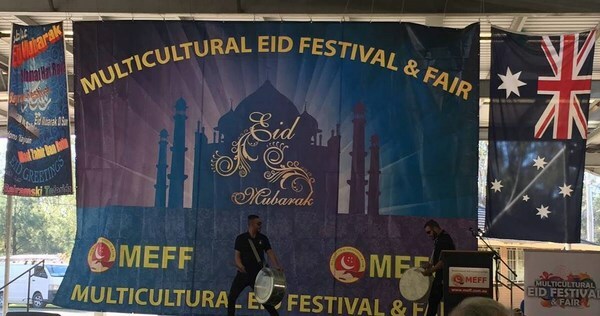 The President of MEFF Mr Ali Alsalami gave a welcome speech while Mr Williams and Senator Sam Dastyari addressed the crowds together with songs, dances and presentations by entertainment groups. 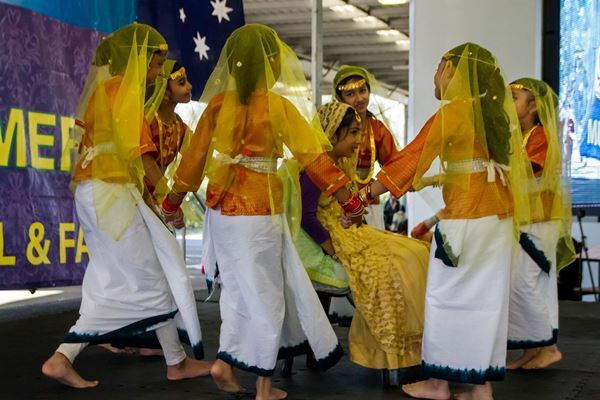 The stage showcased traditional children folk dances from India and Bosnia and cultural songs from Lebanon, Pakistan and so much more. The red-cross ‘blood-drop’ mascot , which came to MEFF encouraging blood donation accompanied the parade. 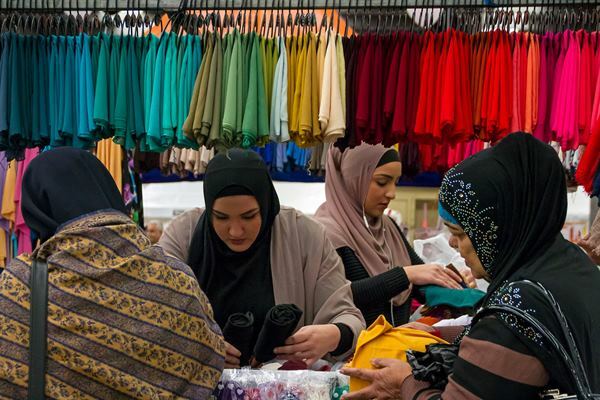 The festival was turned into a multicultural marketplace selling traditional cultural dresses, jewellery, books, artworks and henna art – it was a great source of bargain shopping. 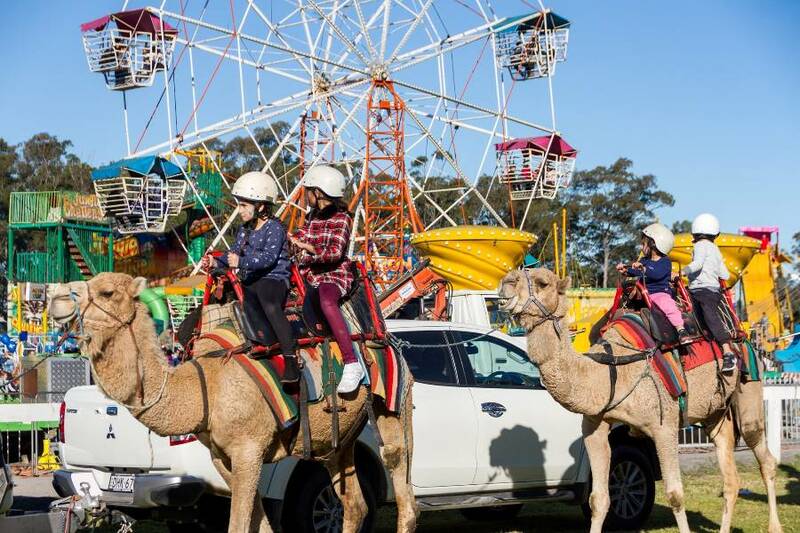 MEFF offered ultimate entertainment with all types of thrilling rides for all ages . Children also enjoyed the Bubble soccer, dartboard, camel and pony rides. Festival attendees were thrilled to receive their free MEFF showbags with goodies inside and enjoyed the free Kids Art area with free pace-painting and balloon twisting. Families were getting in line to take great photos with Mickey & Minnie Mouse, Dora the Explorer, Kung Fu Panda and the animatronic Dinosaur! There was a fire show at 7 pm followed by spectacular fireworks at 7.30 pm, and all the rides finished at 9 pm which allowed for families enough time to buy and take-away some food for home. 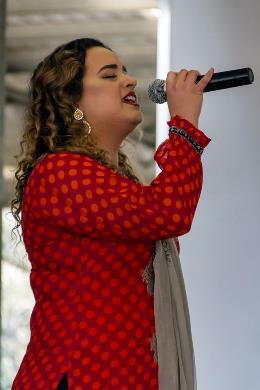 MEFF 2017 was sponsored by KOI: King’s Own Institute as a Platinum sponsor with Shine Lawyers and NZF: National Zakat Foundation Australia being the Silver sponsors of the Event. 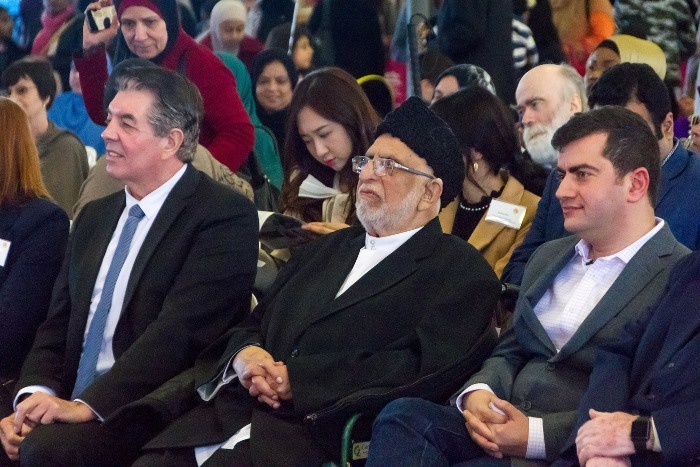 MEFF was founded by Islamic Foundation for Education & Welfare IFEW and its Media Partner is Australasian Muslim Times, AMUST. 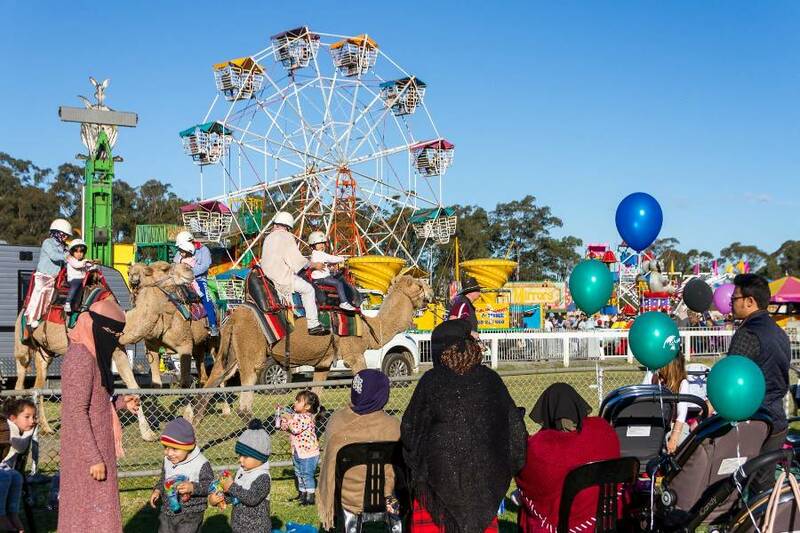 The next Multicultural Eid Festival & Fair will be held next year on Sunday 8 July 2018, at the beginning of the school holidays at Fairfield Showground.